Do you want to record your life (family, company) story but never find time? Is the project overwhelming? Worried about your writing skills? Capture those stories (whether aging relatives or long-term employees) before they retire or die. If necessary, get a little help — or coaching. Be or find a storycatcher or personal historian. Do it now, while the memories are still there and the elders are still alive!!! He was a bright and curious boy, then a strong-willed teenager, playing his guitar, permanently grounded, never, ever touched. When Marian P. was 19, her heels became so swollen and stiff that she could not walk. At 40 she had a heart attack that went undiagnosed for two and a half weeks. Doctors couldn't figure out what was wrong with her. Pat's hands-on report-writing workshops (from Washington, D.C., to Burma and Lesotho) teach people how to organize their thoughts and present them briefly, clearly, and persuasively. For more personal writing, consider her workshops on writing your ethical will (or legacy letter) or writing your own (or someone else's) life story. Mom had a gift for making and hanging on to friends and for identifying and harassing enemies. Encourage girls to get messy and make big interesting mistakes, urges Pat in this Washington Post article. Make a note. You (or someone you know) may need it some day. "This hospital is a jewel in the medical universe. For someone like myself who wants to do serious science and seriously apply it -- in my case, finding new treatments for patients with cancer -- there's no place in the world like the Clinical Center of the National Institutes of Health." Over 66,000 people have downloaded this book, which is full of great ideas for parents, teachers, and those who want more girls to go into science, engineering, math, and technology careers. Winner of APCC's Excellence in Writing award and of a Merit Award for online communication from the Society for Technical Communication. Avoid "research rapture" and other perils of lifestory writing. What it is like (emotionally) to die, how to help someone die, how to say good-bye, what to expect from grief, and how to console the bereaved. "My life is ruined by my child's homework. It's a knockdown, drag-out fight from the minute they get home until the minute they go to bed." This Washington Post article about how to get the learning back into homework is often handed out to parents at back-to-school night. We don't know ahead of time which people are more likely to become alcoholics or addicts. To experiment is to play Russian roulette. These lists are a work in progress. Please share your recommendations. Links to useful medical and health information. What's in and what's out in the lunchroom. Hold the mayo and don't smush that PBJ. This award-winning article was first published in 1993, in the Washington Post food section. "Everybody has butterflies in his stomach," they tell you, referring to the fear that grips so many of us when we have to speak in public. "Toastmasters helps you get the butterflies to fly in formation." A guide to swing, waltz, tango, contra, and other forms of social dancing in Washington, D.C. and nearby. Re-entering the singles scene as a mature adult often elicits anxious memories of high school -- particularly of dances: fear of not being asked to dance or fear of asking and being rejected. There's six-count and eight-count, in a circle or along a line, emphasizing legwork or armwork. And that's for starters. Buffalo Gap was authentic camp, with the addition of hot water, good food, and lots of dancing. You can learn international style (standard and Latin American), you can learn American style (smooth and rhythm), or you can just have fun. Quickly going the way of the cowboy? Folk dances are filled with people whose dance-phobic partners are home watching TV, and even at "couples dances" the general practice is to keep changing partners, which means you don't have to bring one along to have a good time. Folk dancing is a bargain and exceptionally healthy. On a good night, folk dancing is just as aerobic as a marathon. These are not the corridors of power, but you'd be surprised at the variety of workplaces folk dancers represent. It's just that you won't hear them talking about work much on the dance floor. The portobello maintains its firmness longer than wild mushrooms and is chewier in texture. A now classic collection of contemporary Latin American short stories, with stories by some of the finest writers of the twentieth century. Among those whose stories are included: Jorge Luis Borges, Carlos Fuentes, Clarice Lispector, Julio Cortazar, Miguel Angel Asturias, Gabriel Garcia Marquez, Jorge Amado, Juan Bosch, Jose Donoso, Horacio Quiroga, Mario Vargas Llosa, Abelardo Castillo, Guillermo Cabrera Infante, Manuel Puig, Maria Luisa Bombal, Juan Carlos Onetti, Mario Benedetti, Norberto Fuentes, and Jose Agustin. Sometimes laundering is as good as dry cleaning. Sometimes it's preferable -- if you do it right. Selling the family jewels? Lower your expectations. More than half of all businesses fail within the first four years, usually because people start businesses in which they have no experience. The fabric on the sofa is not nearly as important as its build and design. You've never heard of YPO? There's a reason. 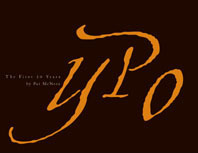 This warts-and-all account of YPO's first 50 years--especially its formative and often turbulent first 25 years -- provides fascinating insights into a highly influential international organization of young corporate presidents that has traditionally resisted publicity. The 8,000 members of YPO as this book is published generate a cumulative $1.3 trillion annually, reports the Washington Post, and that's not counting the many thousands of alumni who must leave the organization when they turn 50. Raised in a Dayton boarding house, Warren Webster rose from the factory floor and a life of dirty fingernails to management of a firm that supported the transportation industry. In City Life Michael Dolan wrote, "McNees has produced a lean, swift narrative of life in the American Century, warts and all: the roar of the '20s, the sag of the '30s, the flowering of the arsenal of democracy, and the slow segue from post WWII ebullience to the retracted realities of the 1990s. It is that rarest of literary commodities: a one-sitting read about business.-- Foreword by Robert Kanigel. The compelling story of how a small-town Ohio firm, Crown Equipment, known for making heat regulators and television antenna rotators, became a major player in the lift truck industry. A rags-to-riches company story that sheds light on the military-industrial complex. Mistakes happen. Health care systems should prepare for that.